Below are press clippings from news outlets, starting from 2010 onwards, pertaining to the research activities of the group. 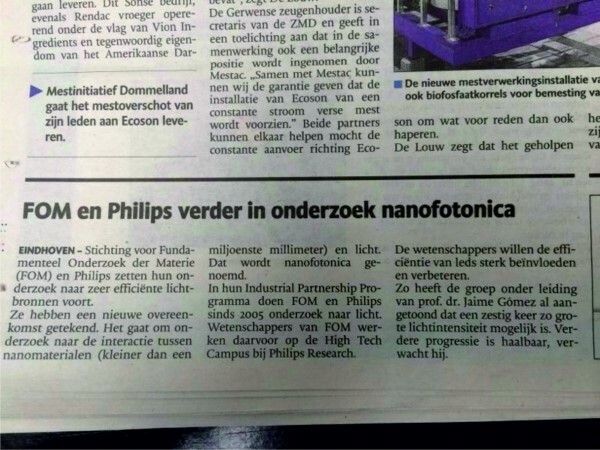 "FOM en Philips verder in onderzoek nanofotonica" in the Eindhovens Dagblad. 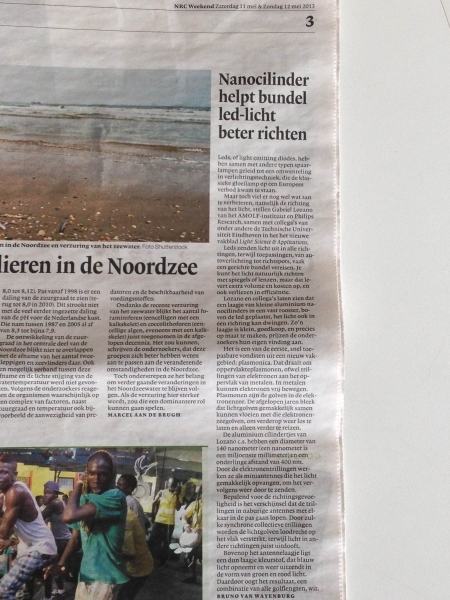 Kyoto Shin-bun: "A new technology to increase the brightness" and Nikkan Kogyo Shin-bun: "A 60-fold enhancement by nanoantenna"
Eindhovens Dagblad: "Fommers" blijven te gast bij lab Philips Research, by Harrie Verrijt. 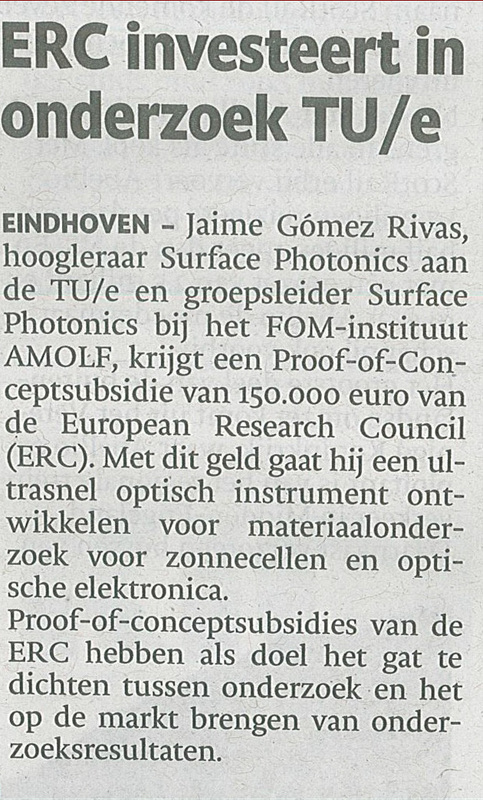 Nanotechweb.org: Generic nanoimprint process gives uniform nanowire arrays.